Leasing to purchase is a bit of a gamble, but your credit isn't as much of an issue. The paths to homeownership are many and varied. Whether your credit is perfect or iffy at best, whether you've been able to save a down payment or are just relieved to be able to pay all your bills each month, you usually have options if you want to get out of a rental and into more long-term housing. A lease purchase agreement is one such option if your credit and savings aren't up to the task of a more conventional purchase arrangement. If the homeowner is willing to enter into a lease purchase agreement with you, you can rent the home with the option to buy it later. Depending on the real estate market and how eager the owner is to sell, your rent payments will typically be a little higher than they would be if you were just renting the home. The home might normally rent for $1,500 a month, but you might agree to pay the homeowner $2,000. At the end of two to four years -- a time period set by the terms of your agreement -- the extra $500 you've been paying each month is your down payment to buy the home. Think of it as savings plan, but one that's not entirely voluntary. If money is tight one month, you're still on the hook for that money. Worse, some lease purchase contracts have clauses where late payments don't count toward your down payment when you buy. You’d have come up with an extra $500 later if you don't make the payment on time. You don't need great credit to enter into a lease purchase agreement, but you'll need reasonably good credit eventually. At the end of your lease purchase term, you'll have to qualify for a mortgage in order to exercise your right to buy the home. On the up side, you can use the lease purchase term to improve your credit rating. On the down side, if you don't improve your credit rating and can't qualify for a mortgage at the end of the term, you'll probably lose all that extra money you've been paying each month. 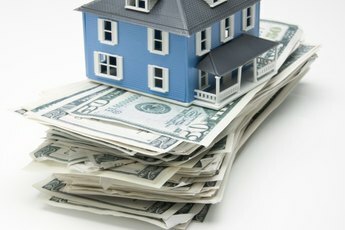 The homeowner is usually not required to return the money to you if you don't exercise your right to buy the property. The housing market goes up and down with the economy, so a lease purchase agreement is something of a gamble. It involves taking an educated guess at what the property will be worth at the end of your lease term. Both you and the homeowner typically lock yourselves into this purchase price when you enter into the contract. If you gauge that the home will be worth $300,000 at the end of the lease term, but it actually loses value instead, you may have to pay $300,000 for a home that’s realistically only worth $275,000 on the current market. 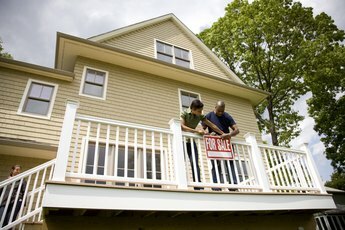 This might make it difficult to get a mortgage for the contracted purchase price. The flip side to this is that the property might increase in value. 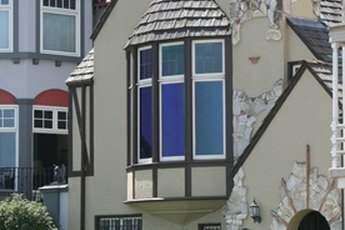 If it's worth $325,000 at the end of the lease term, the homeowner is still contractually obligated to sell it to you for $300,000. Lease purchase agreements are relatively easy to get out of. 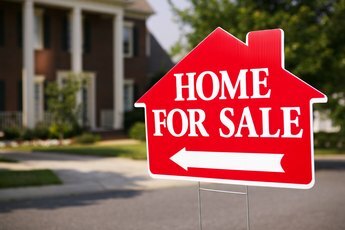 If your home drops in value, no one is going to put a gun to your head and force you to exercise your right to buy it. But if you change your mind and decline to go through with the purchase, you'll have paid an extra $500 a month for nothing. You'll be out $24,000 over a four-year term. If you leased for four years instead and just saved the money, you would have a $24,000 nest egg to use however you like. Can One Refinance a Car Lease Loan? "What Does a ""Lease Subordinate to Any Mortgage"" Mean?"